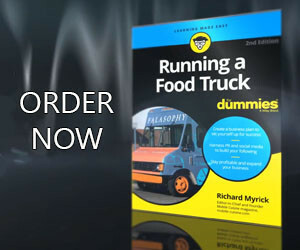 As a food truck that operates as a sole proprietor, you are in charge of your own business. As far as the tax code is concerned, you and your business are a single entity. While this entails certain freedoms, it also creates added responsibilities. You’ll face additional taxes and reporting requirements, but you may also be eligible for certain business tax deductions. If you are in the first year of business, you may claim up to $5,000 of start-up costs. This includes legal, advertising and consulting fees, without having to capitalize the expenses over several years. Please Note: If your food truck startup costs are $50,000 or more the deduction will decrease and if your total is over $55,000 the deduction is taken away. As a food truck owner you can deduct the actual expenses incurred on travel and mileage for business. Since your vehicle is used exclusively for business, you may claim the full amount of expenses, like parking, fuel, tolls and repairs. One of the primary tax advantages of operating as a sole proprietor is that you can deduct the cost of health insurance. This goes for yourself, your spouse and any dependents you have. The health insurance deduction is an “above-the-line” deduction, meaning it is taken off your gross income before you reach your adjusted gross income. Other deductions, such as itemized deductions, are “below-the-line” deductions. Your deduction is limited by the amount of your taxable income, so if your food truck takes a loss, you can’t also take the health insurance deduction. You also can’t take a deduction for any months that you or your spouse are eligible for group health insurance with an employer. Every food truck has operating expenses, as a sole proprietor you are no different. As long as your expenses are “ordinary and necessary,” as defined by the Internal Revenue Service, you can claim them on your tax return. In addition to health insurance, common deductions include equipment, utilities, travel, and capital assets. If you operate you do any of your food truck work out of your home, you can claim the home office deduction. This includes expenses, such as rent and utilities. However, you must use this section of your home exclusively for your food truck business. If you run your own food truck, you’re responsible for self-employment taxes, in addition to regular income tax. Self-employment taxes are the equivalent of the Social Security and Medicare taxes that all employers and employees have to pay. When you work for someone else, you only pay the employee portion of these taxes. Your employer pays the other half. As a sole proprietor, you must pay both. Take note that you are allowed to take a tax deduction for half of your self-employment taxes. Planning for tax season shouldn’t start as the deadline approaches. Include it as part of the way you do business all year. While the submission of documentation may or may not be required for certain deductions, you must keep records of these items for a minimum of three years. Follow the phrase, “better safe than sorry.” Be even safer by keeping both electronic and hard copies. It goes without saying that a best practice for filing food truck business taxes is to work with a qualified bookkeeper and/or accountant. Their understanding of the laws and how to comply can make a world of difference and bring you greater peace of mind. If an expense is partly for personal and partly for business, only the business portion may be claimed as an allowable business deduction. All food truck owners, including sole proprietors, should always keep personal and business expenses separate by using a dedicated business credit card and bank account. The IRS tends to take a closer look at tax returns filed by sole proprietors. This is because it can be easy to blur the line between business and personal expenses. Even though your food truck business and your personal tax return are combined, the IRS still expects you to keep accurate and distinct business records. If you deduct the full price of a tablet used for your POS system, the IRS may want to see records proving that it is used for business purposes only. If your expenses exceed your income, you can expect additional IRS scrutiny. Especially if you haven’t turned a profit in at least three of the most recent five years. Don’t be afraid to take a deduction you are legitimately entitled. Just make sure to keep detailed records to support your claims, particularly the home office deduction. While tax law is complicated, the benefit of utilizing tax deductions is simple. The more legitimate deductions you’re able to claim, the less tax you pay. As a sole proprietor, you need to be aware of all of the small business deductions you are eligible for, even if you have someone else prepare your taxes. DISCLAIMER: Mobile Cuisine and its affiliates do not provide tax, legal or accounting advice. This material has been prepared for informational purposes only. It is not intended to provide, and should not be relied on for, tax, legal or accounting advice. You should consult your own tax, legal and accounting advisers before engaging in any transaction.